Stunning home is in absolute pristine condition, and tastefully decorated with inviting common spaces, large bedrooms and a luxurious master bedroom suite on its own level.The gourmet kitchen has black appliances, granite countertops, richly stained cabinets and an island. This multi-use floorplan has a formal living room with fireplace, a den which is perfect for an office, and a family room with multiple seating areas. Upstairs has an expansive loft, perfect for 2nd family room, and it overlooks the lush backyard private oasis. Outdoors features a very inviting private pool, serene mountain views and a relaxing covered patio. Enjoy this model-like home, and move right in! Directions: North to Deems Parkway, east to Ghost Rider, left to 51st, and north to home. Approximate size: 8955.00 sq. ft. Please, send me more information on this property: MLS# 5900180 – $499,900 – 26616 N 51st Drive, Phoenix, AZ 85083. 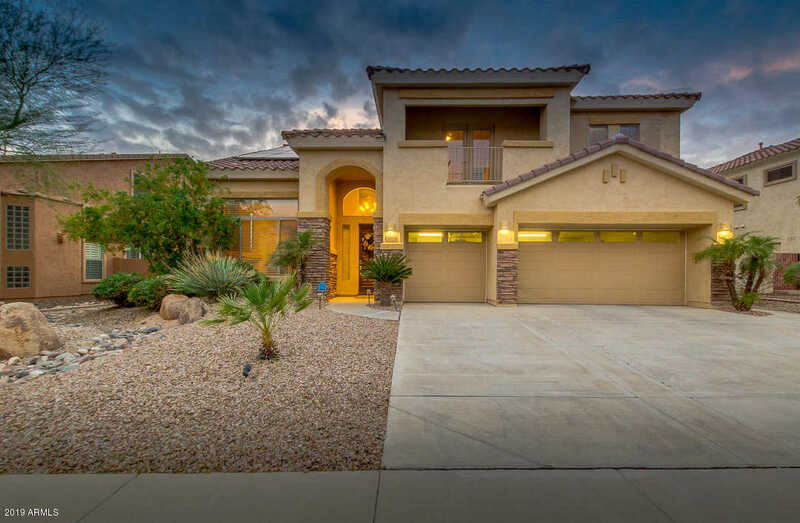 I would like to schedule a private showing for this property: MLS# 5900180 – $499,900 – 26616 N 51st Drive, Phoenix, AZ 85083.